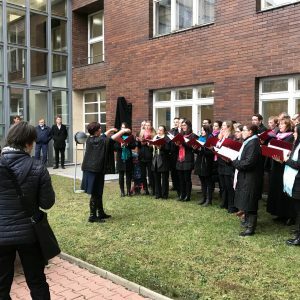 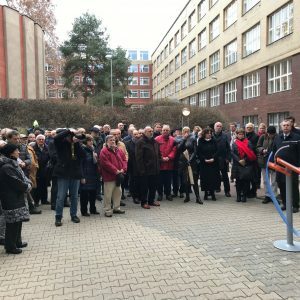 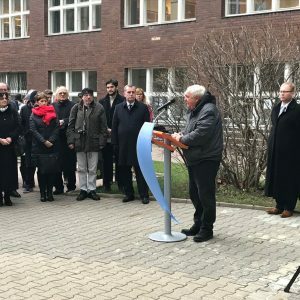 The unveiling of a memorial plaque took place at the University of Economics, Prague (VŠE). 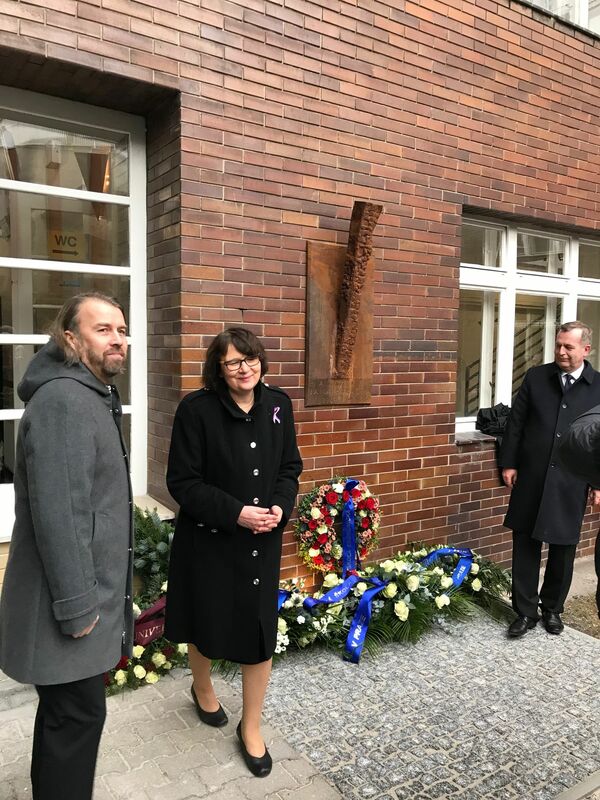 The memorial plaque placed on the Stará budova/Old Building commemorates former student of VŠE, Jan Palach. 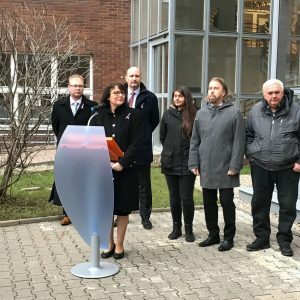 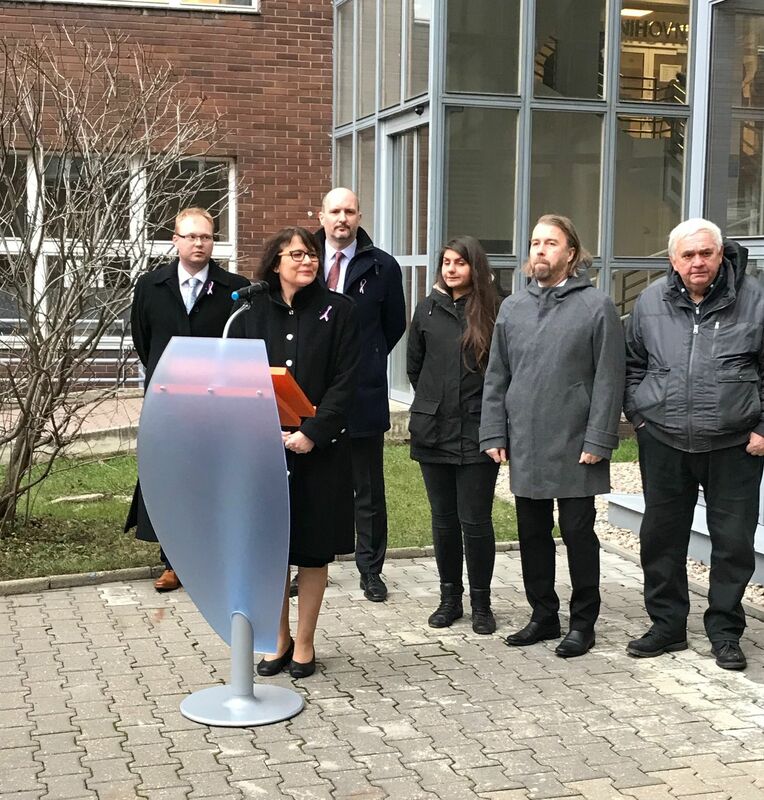 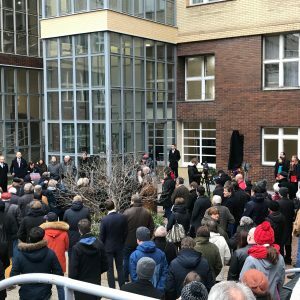 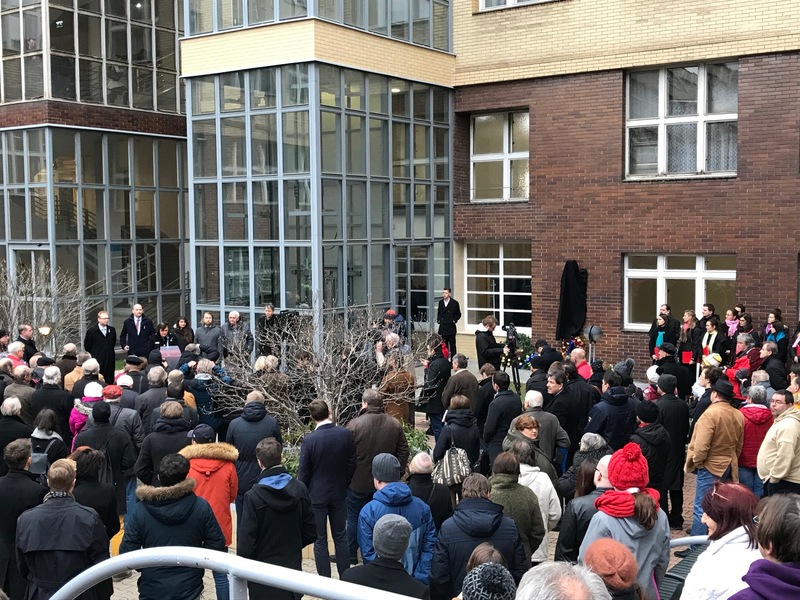 Besides the unveiling of the memorial plaque, an atrium in the Žižkov campus was given his name. 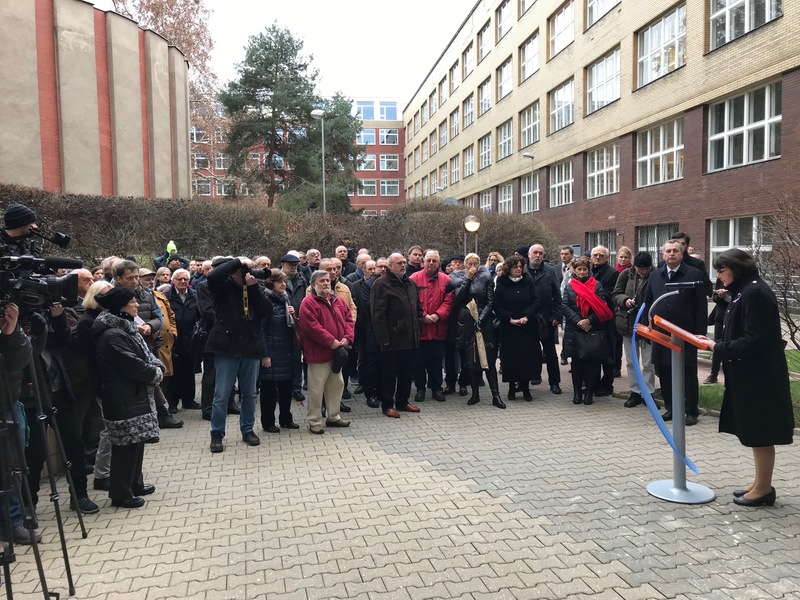 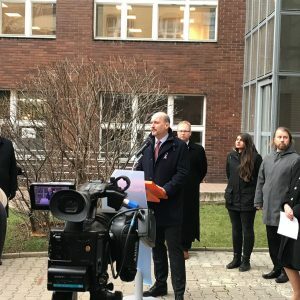 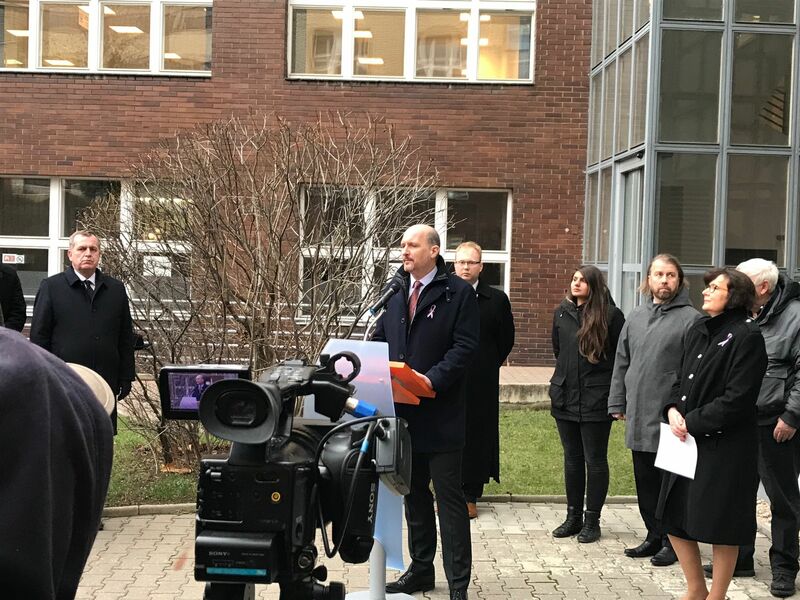 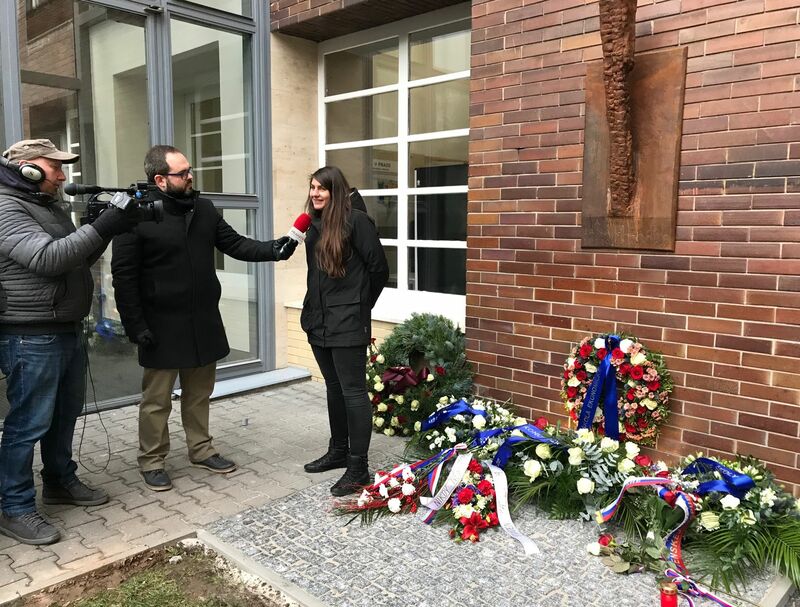 The rector, Prof. Hana Machková, attended the event as well as the representatives of universities, academic institutions and Jan Palach’s friends. 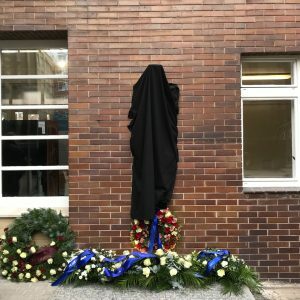 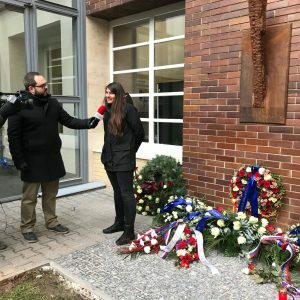 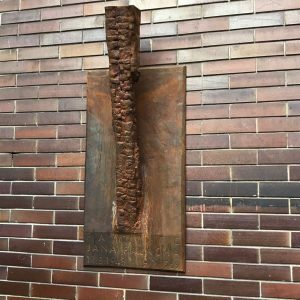 “We are proud that Jan Palach spent almost all his student life at our university. 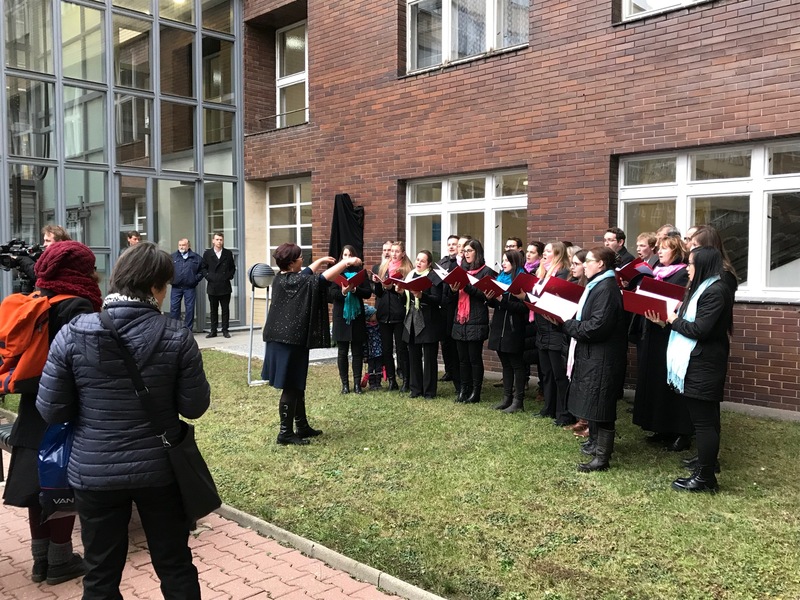 It played an important role in his life, even though he decided to study at Charles University,” explains Prof. Hana Machková. 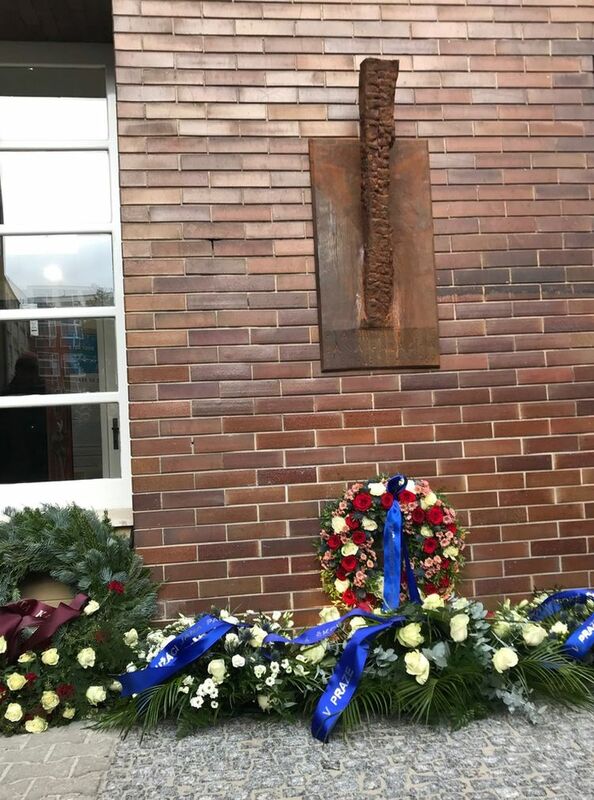 “One of three letters which described his act were addressed to his best friend and schoolmate from VŠE, Ladislav Žižka. 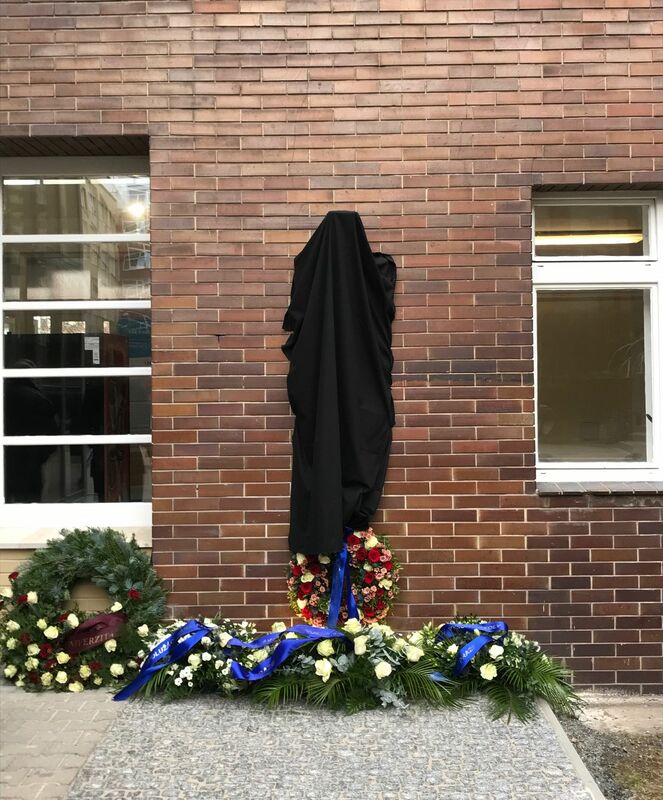 Jan Palach asked him to publish his ideas (The Torch n. 1) in the university magazine Ekonom/Econom. 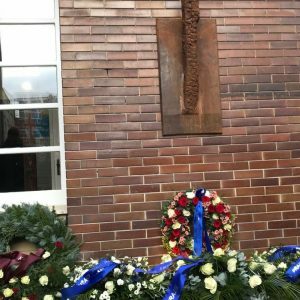 Jan Palach sent a postcard referring to his act to his friend Hubert Bystřičan, also from VŠE,” said the rector. 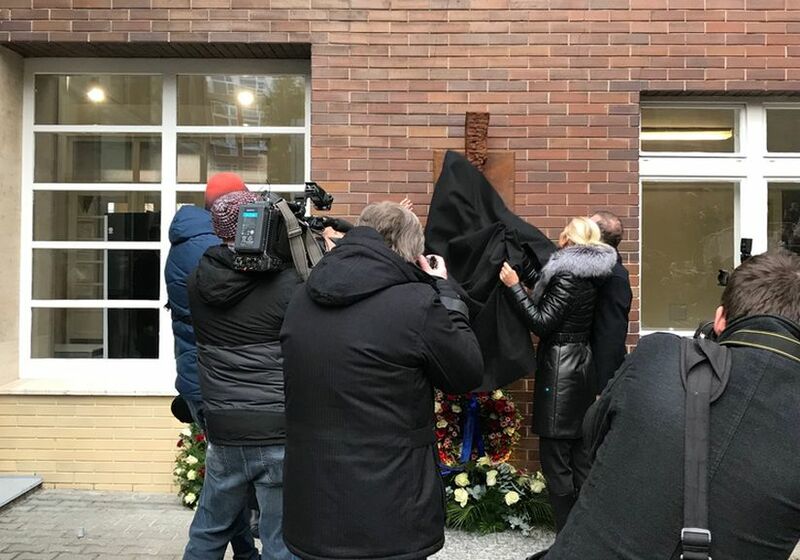 VŠE wished the memorial plaque for the former student to made by a student. 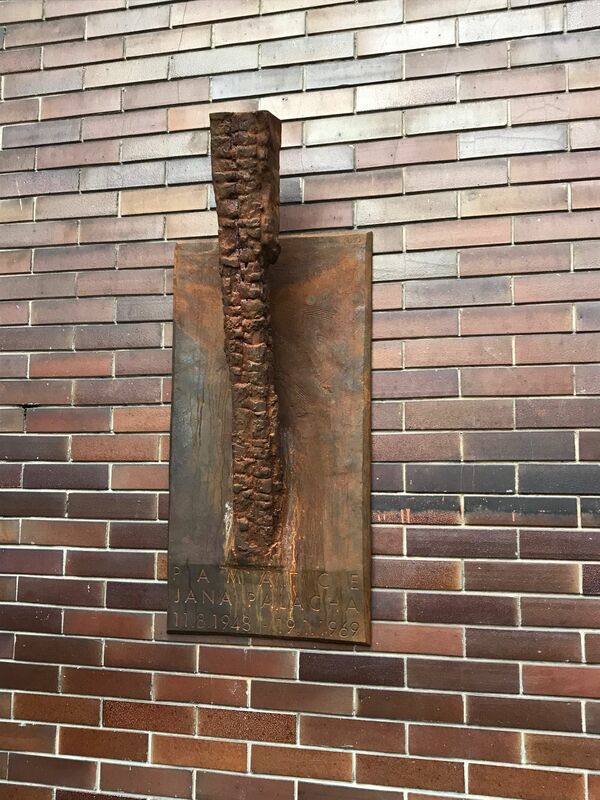 Therefore it was realized in cooperation with the Academy of Fine Arts in Prague. 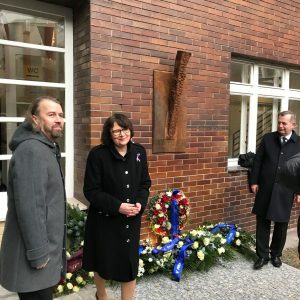 The winner of t he contest was Dagmar Morová. 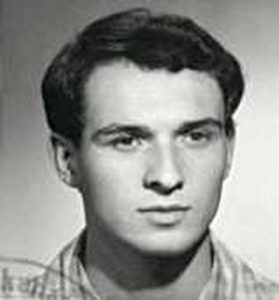 Jan Palach (11 August 1948 – 19 January 1969) was a Czech student of the University of Economics, Prague and Charles University in Prague. 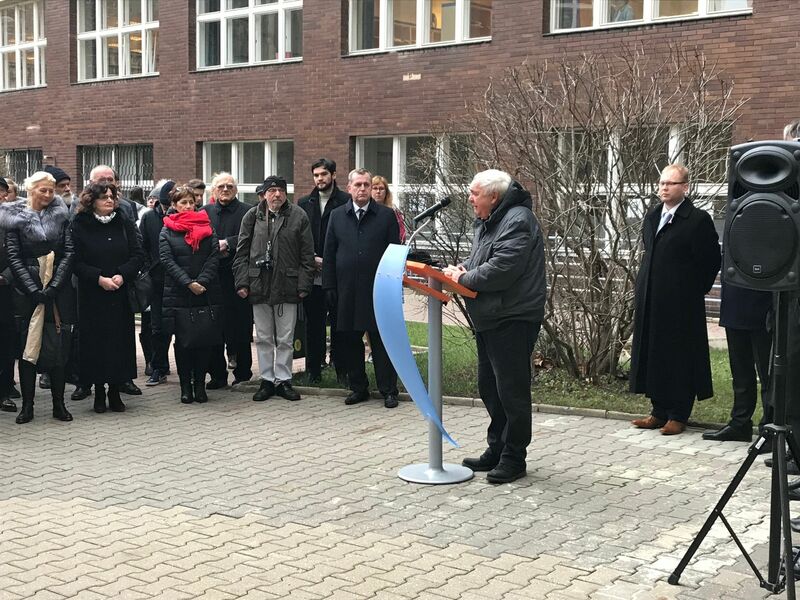 His self-immolation was a political protest against the end of the Prague Spring resulting from the 1968 invasion of Czechoslovakia by the Warsaw Pact armies. 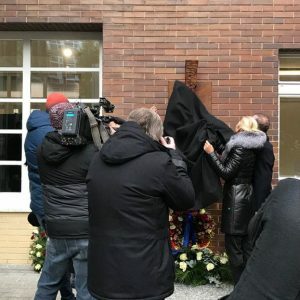 His act is a symbol of protest against the general passivity and repression of freedom not only in the Czech and Slovak Republic but in the world.